Association Local #75. This took off from a hobby to several commercial sites at the end of the 1990′s. Throughout the following decade my skills increased and I took on projects designing websites for local restaurants, businesses, politicians, and personal interests. In addition to basic website design, I offer many other services which are usually part of the design process. Cleaning up and digitizing logos is a common need for many businesses so they can then have good quality graphics ready for print media such as letterhead or business cards. I also retouch photographs using Photoshop. Please take a look at my portfolio to see some of the graphic design work I’ve done over the years including 3D and video. 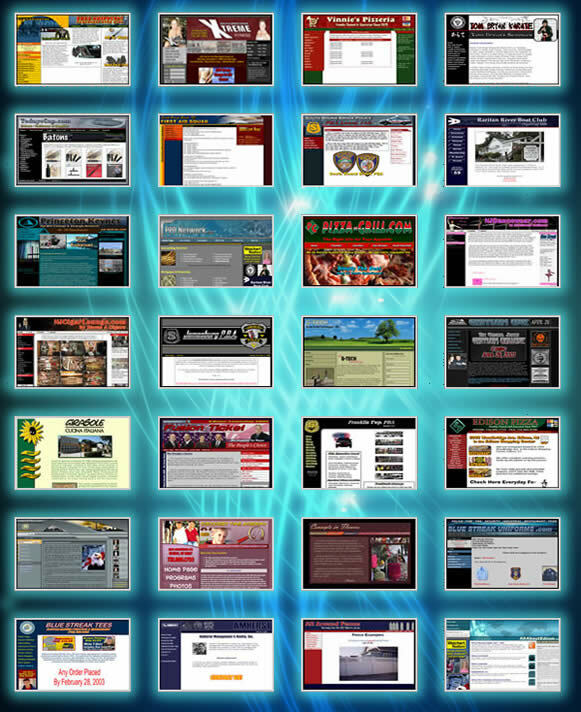 * These are all websites which I’ve designed since the 1990’s. 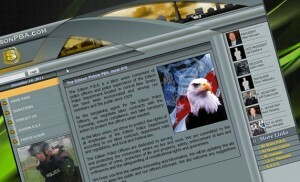 Each represents current trends in Internet design during the time which the site was live. Websites were once designed for 640 pixel wide monitors, and as screen size increased, layouts continued to change until today where most sites contain their main content in layouts 1,000 pixels or more, with backgrounds accommodating the largest home monitors. Technologies also changed from static HTML sites aligned left, to dynamic database driven sites, Flash sites, and currently to wide angle database driven sites with large bold slider images located in the premium space of the design.